MAKE SURE YOUR CHILDREN ARE TAUGHT TO SWIM! Start them early at venues throughout North Devon. All lessons are led by qualified, experienced and D.B.S. checked staff. There will always be an onsite National Pool Lifeguard trained member of the team, and water based teachers for beginners and nervous children. Structured fun sessions, using song and play in a warm and friendly environment with an experienced teacher on hand for advice and support. This is also an ideal class for first time parents or more nervous adults. 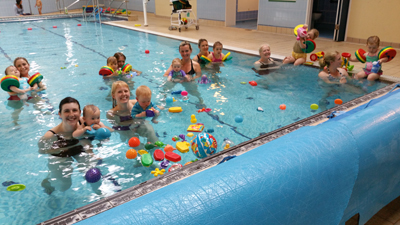 All our classes are in line with Swim England guidelines for adult and child water activities. (Ratio is a maximum 5 to 1 adult). to give extra support and confidence. Small groups in all classes. Lessons include: Stroke technique; Water skills; Personal survival; Basic water safety; Stamina training; Life saving skills. Older beginners always welcome and teachers are water based for all beginner classes.